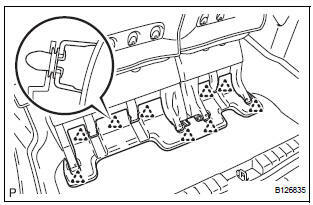 Disengage the 9 clips and remove the rear No. 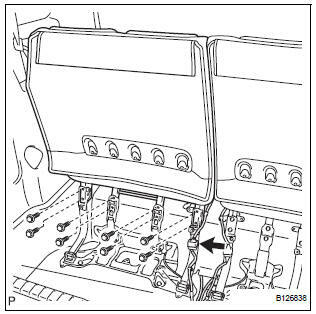 2 seat leg side garnish sub-assembly. Remove the 9 clips from the rear No. 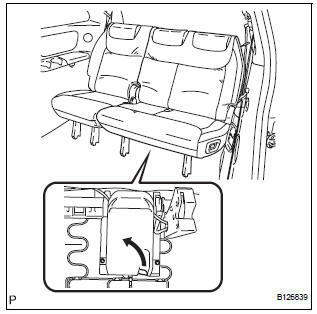 2 seat leg side garnish sub-assembly. 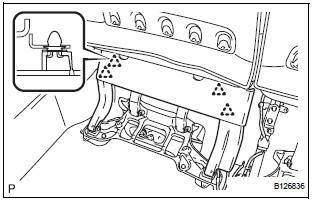 Disengage the 4 clips and remove the rear seat leg side garnish sub-assembly. 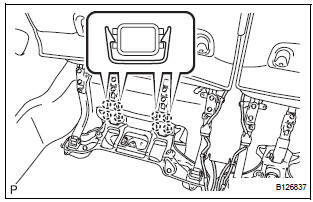 Remove the 4 clips from the rear seat leg side garnish sub-assembly. Disengage the 8 claws and remove both No. 2 seat hinge covers. Pull the lever under the No. 2 seat cushion subassembly and remove the rear No. 2 seat assembly.